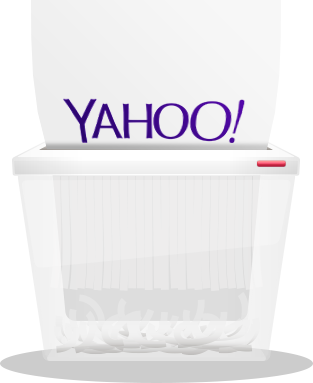 The following is an exclusive guide on how to delete Yahoo account with ease. Yahoo was one of the best email services around a decade ago. Over time, newer email services replaced Yahoo as your default emailing platform. Due to the growing number of email services, some of us have developed a habit of tasting every new service for features that seem unique to us. If you are among such users, you may want to learn how to delete your yahoo account permanently, before moving to a new service. However, trying a new service isn’t the only reason for users to learn how to delete Yahoo account. Another reason for why you may want to opt-out of the mailing service and permanently erase all your footprints is to keep your email data secure from security breaches. 2016 was a terrible year for Yahoo. In September 2016, the email giant reported a cyber breach that happened in 2014 and resulted in the privacy and security violation of over 500 million users. Just when it wasn’t enough for the users, the company stunned them in December 2016 with another terrible news of a security breach that transpired in 2013, compromising over 1 billion Yahoo mail accounts. According to renowned news media outlets, the company ended up losing sensitive information of its users, which included names, contact numbers, birthdates, passwords and even the security questions that are used during account’s password reset process. As a result of the breach, the company forced its users to change their password. Security breaches aren’t only reasons that would terrify the users into flocking to a different service and force them to delete their Yahoo mail account. Also in 2016, the company was also suspected of scanning users email accounts using a specialized tool created by the request of spy agencies. So, security breaches and illegal spying are some of the probable reasons why you might want to switch to a different emailing service, which would be more secured and reliable. Before you learn how to delete yahoo account, it is imperative that you first take backup of all your data, before you lose it for good. Of course, you may probably have some important documents in your email or some personal images that you don’t want to lose once you erase your account. Apart from attachments, you should even take backups of your most important emails through simple copy pasting or be forwarding them to your secondary email. If you have valuable contacts in your Yahoo email, you can export them as well. First, navigate to the Contacts option on your Yahoo email, go to Actions and then Export. You can then export the contacts either as a .csv file for Yahoo or Outlook. If you have subscribed to any other products of Yahoo, it is highly likely that you will be required to use the same email account for future access. Therefore, try changing the primary account for accessing the particular product before you delete your Yahoo account. We are well aware of the fact that third-party websites or apps use our existing email accounts to allow us instant access. If your Yahoo account is linked to any third-party services, you need to remove your account before canceling it. 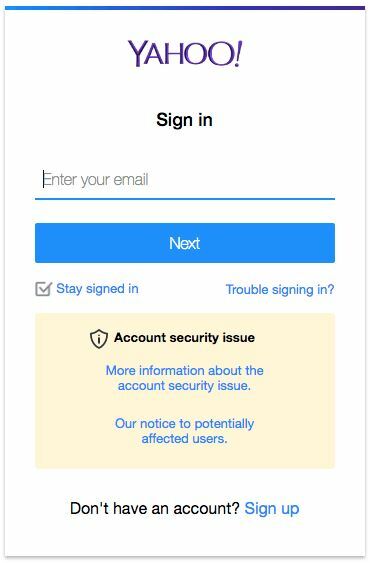 Replace the account with a secondary email account to avoid any inconvenience. Before you take the ultimate step of canceling your Yahoo email account, make sure that you have deleted any child account linked to it. Remember that you can’t use your Yahoo account after 90 days, once you delete it. The service removes your account from its database or servers permanently. As a result, once your Yahoo account is deleted, it will never be recovered. Period. Therefore, it is essential that you make sure you don’t leave any significant contact or data in the account you want to delete. 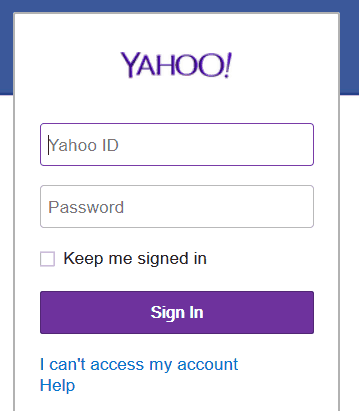 Step 1: Cancelling your Yahoo account permanently is pretty simple. You first need to go to the Yahoo Account Delete page. 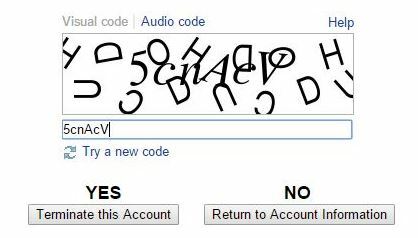 Step 2: Once you go to the link mentioned above, you will be asked to Sign in using your existing id and password. 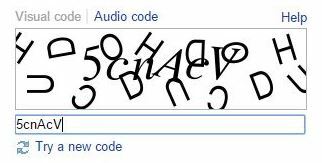 Step 3: It is highly likely that you will be required to enter a CAPTCHA to make sure you are a human and not a bot. Step 4: Once you are signed in, you will see two options: Terminate This Account or Return to Account Information. Step 5: Click the Terminate This Account. Voila! You are now officially not a Yahoo user anymore. Once you hit the Terminate button, you will have 90 days to recover it. If you don’t want to retrieve the account, just don’t access it for 90 days. Privacy and security breach is something that can happen to any email service or client you may be using, be it Yahoo or any other. Hackers are now more sophisticated than they were in the past, and they are continuously testing methods to exploit security vulnerabilities. If you are here to learn how to delete Yahoo account out of fear of a security breach, then what you need is a guaranteed protection. In that case, subscribing to a VPN for encryption is your best bet.